In the Southern District of Malartic, there were five buildings that could not be relocated due to their size. Osisko Mining Corporation, therefore, had to commit to rebuilding new facilities within the town’s limits to compensate for the demolition of those useful institutional buildings dear to the hearts of the citizens. The company decided to build six new facilities between 2008 and 2009. The first establishment demolished was St-Martin Elementary School. As the third Catholic school established in Malartic, it’s inauguration in 1951 was witnessed by the Prime Minister of the time, Maurice Duplessis. The building was initially intended to be a high school but, in 1975, due to the decrease in population, it became a primary school. In 2006, it became the only elementary school of the city when the Renaud School is converted into a community centre. 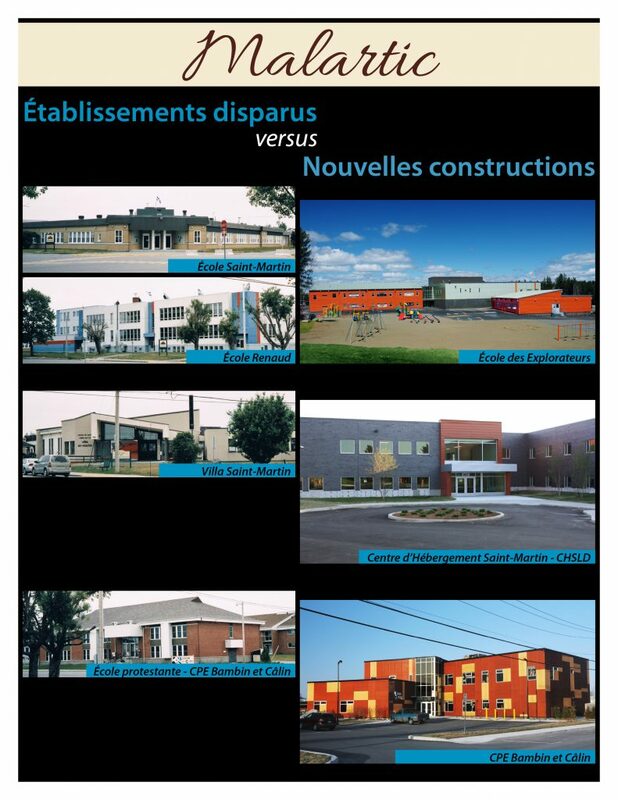 St-Martin School was demolished on November 3rd, 2009 and replace by a new school named École des Explorateurs. The new school cost $15.5 million to build and was inaugurated on August 31st, 2009. 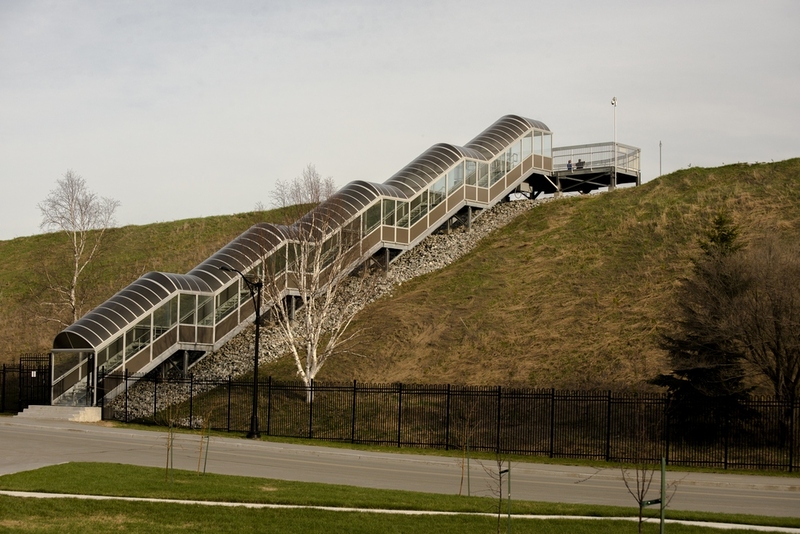 Upon its completion, it became one of the most ecological and technologically advanced schools in Quebec. The school has a geothermal heating system, a solar wall and interactive classroom boards. Renaud School was also affected. Built in 1939 and enlarged twice, it welcomed primary school students until 2006. It also housed an adult education centre, Le Trait d’union, from 1987 to 2006. When the primary school students where all moved to St-Martin School, the building became a community center run by the City of Malartic. Nearly a dozen different public organizations used the facility until it’s demolition in March 2010. Osisko Mining Corporation built a new cultural and recreational center in 2009 – annexed to Le Tremplin high school and Theatre Meglab. Five million dollars were also invested in a new adult education centre named Le Trait d’Union, after the original centre. The Bambin et Câlin Preschool building, which had previously been the first Protestant school (1939-1975), and then housed the Malartic School Board (1975 to 1997), was demolished in 2009 and replaced by a new facility that very same year. Villa St-Martin, a long term care centre, opened in 1968 and the affordable housing building, Germain-Paquette, built in 1980, were demolished in 2010 and 2009 respectively. They were replaced by two new buildings. The new long term care centre was built inside the hospital allowing for an increased level of care. The new affordable housing building was built near two other similar facilities. Osisko Mining Corporation built a “green wall” near where the old institutions had been located. 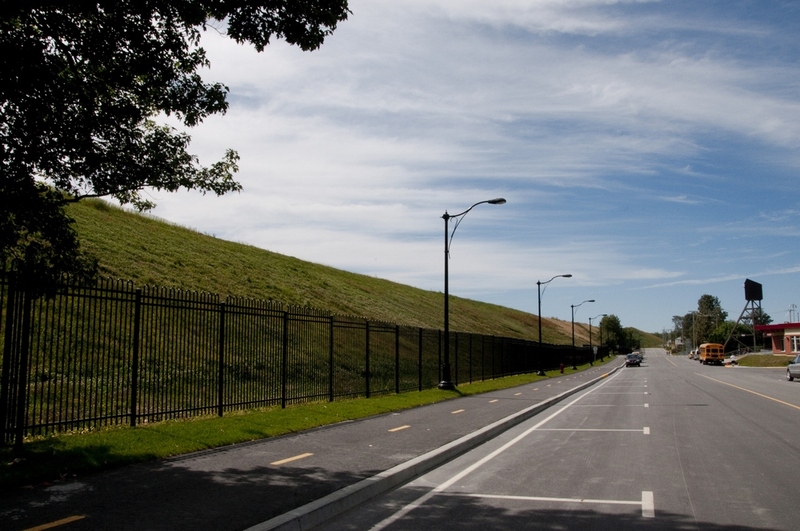 This artificial hill is fifteen meters high and stretches for 1.3 kilometres. It limits dust and noise that could affect the city during mining operations. A lookout gives visitors an exceptional view of mining activity inside the pit. Nearby, sits a $5 million park and a stadium, which were both inaugurated in 2012. The park contains, among other features, a baseball field, water games, and a skate park. 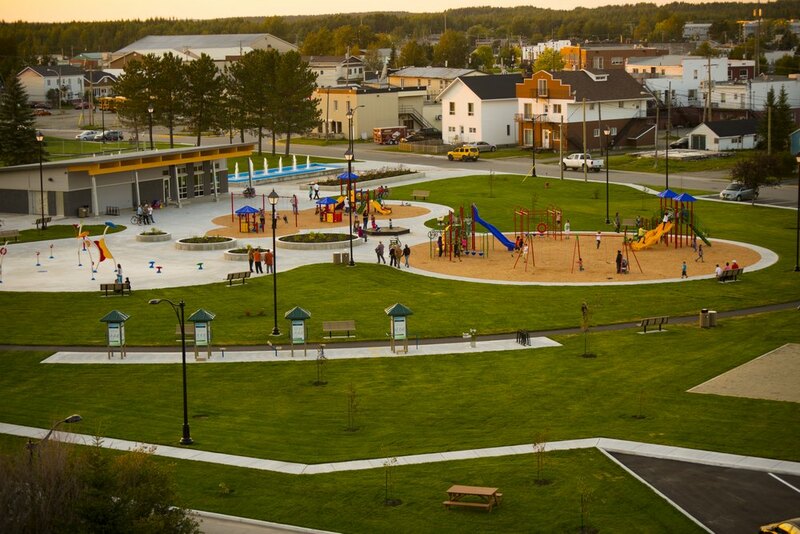 This park was the last phase of the urban redevelopment accomplished by the Mine. In total, $ 65 million was invested by the mining company in various municipal infrastructure projects.